"Foul shot" redirects here. For the general concept in many team sports, see Penalty shot. In basketball, free throws or foul shots are unopposed attempts to score points by shooting from behind the free throw line (informally known as the foul line or the charity stripe), a line situated at the end of the restricted area. Free throws are generally awarded after a foul on the shooter by the opposing team. Each successful free throw is worth one point. Kobe Bryant practicing free throws. Free throws can normally be shot at a high percentage by good players. In the NBA, most players make 70–80% of their attempts. The league's best shooters (such as Mark Price, Steve Nash, Rick Barry, Ray Allen, José Calderón, Stephen Curry, Reggie Miller, Kevin Durant, and Dirk Nowitzki) can make roughly 90% of their attempts over a season, while notoriously poor shooters (e.g. Dwight Howard, DeAndre Jordan, Wilt Chamberlain, Andre Drummond, Andris Biedrins, Chris Dudley, Ben Wallace, Shaquille O'Neal, and Dennis Rodman) may struggle to make 50% of them. During a foul shot, a player's feet must both be completely behind the foul line. There are many situations when free throws can be awarded. The first and most common is when a player is fouled while in the act of shooting. If the player misses the shot during the foul, the player receives either two or three free throws depending on whether the shot was taken in front of or behind the three-point line. If, despite the foul, the player still makes the attempted shot, the number of free throws is reduced to one, and the basket counts. This is known as a three-point or four-point play, depending on the value of the made basket. The second is when the fouling team is in the team bonus (or foul penalty) situation. This happens when, in a single period, a team commits a set number of fouls whether or not in the act of shooting. In FIBA, (W)NBA and NCAA women's play, the limit is four fouls per quarter; in the NBA, starting with the fifth foul (fourth in overtime), or the second in the final 2 minutes if the team has less than 5 fouls (4 in OT), the opposing team gets two free throws. In the WNBA, the fouled player shoots two free throws starting with the opponent's fifth foul (4th in overtime), or second team foul in the final minute if that team has committed under 5 fouls in a period (4 in overtime). In FIBA and NCAA women's basketball, the fouled player also shoots two free throws starting with the opponent's fifth foul in a period, considering that team fouls accrue from the fourth period on, as all overtimes are extensions of it for purposes of accrued team fouls. 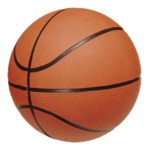 In NCAA men's basketball, beginning with the seventh foul of the half, one free throw is awarded; if the player makes the free throw, another is given. This is called shooting a "one-and-one". Starting with the tenth foul of the half, two free throws are awarded. In addition, overtime is considered an extension of the second half for purposes of accumulated team fouls. Free throws are not awarded for offensive fouls (most often charging fouls), even if the team fouled is in the bonus. The number of fouls that triggers a penalty is higher in college men's basketball because the game is divided into two 20-minute halves, as opposed to quarters of 12 minutes in the NBA or 10 minutes in the WNBA, college women's basketball, or FIBA play (note that the college women's game was played in 20-minute halves before 2015–16). As in professional play, a foul in the act of shooting is a two- or three-shot foul, depending on the value of the shot attempt, with one free throw being awarded if the shot is good. If a player is injured upon being fouled and cannot shoot free throws, the offensive team may designate any player from the bench to shoot in the place of the injured player in college; in the NBA, the opposing team designates the player to shoot, and the injured player can't return, unless the foul committed was a flagrant-2, in which case the player's own team also gets to pick the replacement shooter. If a player fouled takes exception to the foul, and starts or participates in a fight, and gets ejected, he or she is not allowed to take his or her free throws, and the opposing team will choose a replacement shooter. In all other circumstances, the fouled player must shoot his or her own foul shots. If a player, coach, or team staff (e.g., doctor, statistician) shows poor sportsmanship, which may include arguing with a referee, or commits a technical violation (delay of game, excessive time outs, or when a team has no eligible players remaining after a player has fouled out or subsequently the last player to foul out must re-enter the game, the latter two are NBA rules) that person may get charged with a more serious foul called a technical foul. In the NBA, a technical foul results in one free throw attempt for the other team. In FIBA play, technical fouls result in two free throws in all situations. Under NCAA rules, technical fouls are divided into "Class A" (violent or serious unsportsmanlike conduct) and "Class B" (less egregious violations such as hanging on the rim or delay of game). Class A technicals result in two free throws, and Class B technicals result in one. At all levels, the opposing team may choose any player who is currently on the court to shoot the free throws, and is then awarded possession of the ball after the free throws. Since there is no opportunity for a rebound, these free throws are shot with no players on the lane. Finally, if a referee deems a foul extremely aggressive, or that it did not show an attempt to play the ball, the referee can call an even more severe foul, known as an "unsportsmanlike foul" in international play or a "flagrant foul" in the NBA and NCAA basketball. This foul is charged against the player (and depending on the severity of the offense, can even be ejected), and the opponent gets two free throws and possession of the ball afterwards. Unlike technical fouls, the player fouled must shoot the awarded free throws. Fouls "away from the ball" (fouls that do not occur on the shooter or near the ball) are handled like the second case above in most situations. Many times defenders hold their opponent to prevent them from catching an in-bound pass or fight through screens and thus are called for fouls. These fouls are almost always treated as normal personal fouls. In the NBA, when there are only two minutes left on the clock of either half, off-ball fouls when the fouling team is over the limit are rewarded with one free throw and possession of the ball. It is therefore common for a losing team to deliberately single out its opponent's poor free throw shooters, regardless of their dominance in other aspects of the game (as in the cases of Ben Wallace and Shaquille O'Neal), as the targets of deliberate fouls until the two-minute mark, after which the losing team plays intense defense for the rest of the game; this strategy is known as the "Hack-a-Shaq". It is believed that this rule was instituted because of Wilt Chamberlain. Previously teams had been allowed to foul any player on the court regardless of whether that player had possession of the ball, with only two free throws awarded to the fouled player. This motivated teams to chase poor free throw shooters, such as Chamberlain, around the court in attempt to foul him in an effort to extend the game. To discourage this practice, the NBA changed the rule to award one free throw and possession of the ball to a player who is fouled away from the ball in the last two minutes of the fourth quarter. This rule does not apply in international or NCAA play and in fact plays a very vital strategic role in the NCAA Tournament. Fatimatou Sacko for her first free throw. Free throws are organized in procession. The shooter takes her place behind the free throw line (5.8 m (19 ft) from the base line, 4.6 m (15 ft) from the basket). All the other players must stand in their correct places until the ball leaves the shooter's hands: up to four people in the NCAA rules and three people in the FIBA rules from the defensive team and two people from the shooting team line up along the sides of the restricted area (keyhole, paint, lane). These players are usually the ones that rebound the ball. Three line up on each side. A defensive player always takes the place closest to the basket. The remaining players must remain behind the three-point line and the "free throw line extended" (an imaginary line extended from the free throw line in both directions to the sidelines). Leaving their designated places before the ball leaves the shooter's hands, or interfering with the ball, are violations. In addition, the shooter must release the ball within five seconds (ten seconds in the United States) and must not step on or over the free throw line until the ball touches the hoop. Players are, however, permitted to jump while attempting the free throw, provided they do not leave the designated area at any point. A violation by the shooter cancels the free throw; a violation by the defensive team results in a substitute free throw if the shooter missed; a violation by the offensive team or a shot that completely misses the hoop results in the loss of possession to the defensive team (only if it is on the last free throw). Under FIBA rules, if the shooter does not commit a violation, and the ball goes in the basket, the attempt is successful, regardless of violations committed by any non-shooter. 1 Penalty applies to fouls in excess of four in a regulation period or in excess of three in an overtime period. If a team has not committed its foul quota by the two minute mark of a period, it shall be allowed one foul before the penalty applies. Offensive fouls do not count toward this total. 2 Defensive fouls committed during an inbounds pass prior to the ball being released result in two free throws regardless of the penalty situation. 3 In the NBA, a team must have five players on the court at all times. If a team is down to five players because of injuries and players with six fouls, and a player commits his sixth foul, he remains in the game and a technical foul is charged. The technical foul penalty of one free throw and the ball applies. Prior to the 1954–55 season, the NBA established the rule that a backcourt foul would result in a "three to make two" situation (up to three attempts to make two free throws) if the violating team was over the team foul limit. By 1979, the rule had been extended to the penalty situation for flagrant fouls, fouls made in the act of shooting (resulting in a miss), and fouls due to the swinging of the elbows. Prior to the 1981–82 season, this rule and the related "two to make one" rule were abolished. In 1956, in response to reports that Wilt Chamberlain was able to dunk free throws, the NCAA established a rule requiring that free throw shooters keep both feet behind the free throw line during an attempt. The NBA later adopted this rule. Free throwing at a Valencia Basket match. As mentioned earlier, some players are notoriously bad free throw shooters. Historical examples of star players who were poor shooters include Wilt Chamberlain, Ben Wallace, and Shaquille O'Neal. This allows a strategy where a team intentionally fouls this player, hoping that they will miss one or both shots and the defending team will re-gain possession of the ball. This strategy was dubbed Hack-a-Shaq when famously used on Shaquille O'Neal. Dwight Howard, DeAndre Jordan and Andre Drummond have been subjected to this strategy as well, as have other players. It can be advantageous for a trailing team to intentionally foul late in a close game. While this allows the leading team to shoot free throws and increase their lead, it also stops the clock, similar to a time out in football (in basketball, a time out may only be called by a team with possession of the ball). As well, it allows the trailing team the chance to take possession if the second free throw is missed, and if it is made awards possession outright to the trailing team. Therefore, many teams substitute players with high free throw percentages when they are leading late in games to combat this strategy. It is seen as a last resort strategy with little chance of success, but if it is not employed the leading team may run out the clock and end the game. As well, a defensive team leading by three may foul an offensive team intentionally late in the game, if the game clock is no greater than a couple of seconds. In such circumstances, the opposing team would most likely not have enough time for multiple possessions. Down three points, the opposing team's obvious strategy would be to attempt a three-pointer to try to send the game into overtime; however, the leading team may attempt to foul the trailing team before a shot is attempted, as this would lead to only two free throws which is not enough to tie the game. If the trailing team is placed into the situation of shooting two free throws, they must attempt to intentionally miss the second free throw in the hopes of securing the offensive rebound (which is harder than normal with free throws, as the defending team is automatically given position) and scoring before the game clock expires – if the first free throw is made, a two-pointer would tie the game, and a three-pointer would win the game; if the first free throw is missed, only a three-pointer would tie the game. Theoretically, adopting this strategy makes a leading team four times more likely to win the game than allowing the trailing team to attempt a three-pointer. The majority of adult professional players shoot free throws in the overhand style, despite both theoretical and practical demonstrations that the underhand style (aka "granny-style") usually produces better average results. Famously, in the NBA, Rick Barry retired in 1980 while ranked first in NBA history at the time with his 0.900 free throw percentage. There were only a few professional players who have utilized this technique, while the vast majority of them resisted adopting the technique for the fear of ridicule or for other similar reasons unrelated to performance. ^ "Rule No. 9-Free Throw". National Basketball Association. NBA Media Ventures, LLC. Archived from the original on 2009-03-07. ^ "RULE NO. 12-FOULS AND PENALTIES". www.nba.com. Archived from the original on 1 December 2017. Retrieved 1 May 2018. ^ "NBA's Misunderstood Rules". www.nba.com. Archived from the original on 1 February 2018. Retrieved 1 May 2018. ^ a b "NBA Rules History". www.nba.com. Archived from the original on 2011-03-03. Retrieved 2011-04-04. ^ Winick, Matt (1979). Official 1979–80 National Basketball Association Guide. The Sporting News. p. Rules Index 31. ISBN 0-89204-049-1. ^ Silverman, Drew (2012). Kansas Jayhawks. Sportszone. p. 21. ISBN 978-1617832833. ^ Fixler, Kevin (2012-12-13). "Shooting for Perfection". SB Nation. Archived from the original on December 16, 2012. Retrieved December 16, 2012. ^ "Does Hack-a-Shaq actually work?". ESPN. April 28, 2016. Archived from the original on June 25, 2016. Retrieved June 20, 2016. ^ Landman, Seth. "'Hack-a-Howard' strategy in full effect". ESPN. Archived from the original on 28 February 2012. Retrieved 21 May 2012. ^ Lawhorn, Adrian. ""3-D": Late-Game Defensive Strategy with a 3-Point Lead". 82games.com. Archived from the original on 4 May 2012. Retrieved 21 May 2012. ^ a b Rist, Curtis (2008-08-07). "Physics Proves It: Everyone Should Shoot Granny-Style". Discover. Archived from the original on 2017-02-02. Retrieved 2017-01-22. ^ a b Kilgore, Adam (2016-12-28). "'Granny' shot master Rick Barry is glad someone had the guts to bring it back to the NBA". Chicago Tribune. Archived from the original on 2017-01-19. Retrieved 2017-01-22. ^ "Rick Barry". NBA.com. Turner Sports Interactive, Inc. Archived from the original on 2010-03-17. Retrieved 2017-01-22. Wikimedia Commons has media related to Free throw. This page was last edited on 17 April 2019, at 00:25 (UTC).